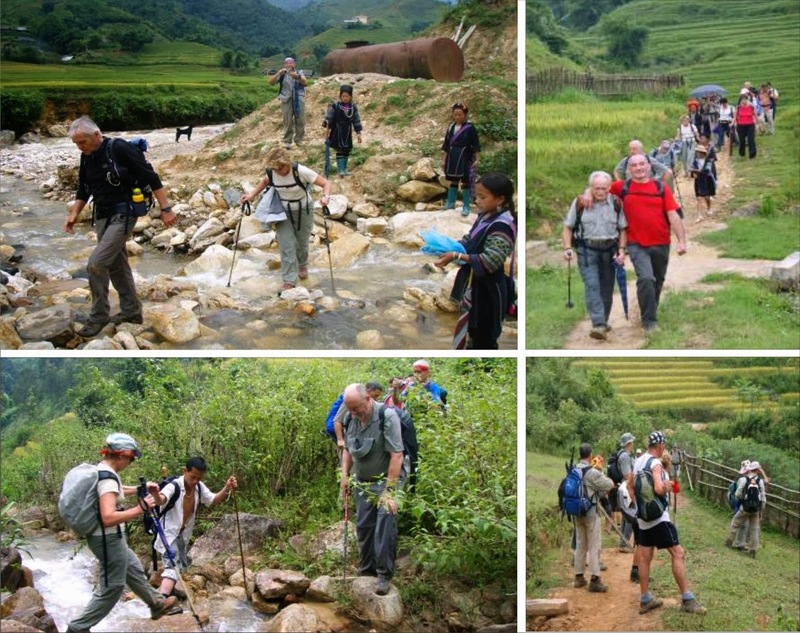 Trekking in Sapa is one of the most interesting activities that most of tourist want to enjoy. To make successful for your trekking tour, recommendation is so helpfu. You should take drinking water or you can buy it along the way. You should wear good shoes, bring a rain coat because of the changing weather. When it rains the trekking road will be muddy, you'd better have a walking pole. Having knives is quite convenient when you cut something. Bringing a map or books of the area so you can note the places where you already lay your feet. Having a camera is very useful so you can record your trips. Sapa is close to the sun so you need to take suncream, insect repellant and a change of clothes. The temperature gets cooler in the evening so you should have a jacket with you. To carry everything above you ought to choose a suitable backpack. You don't need to bring a sleeping bag or food because in the hill tribe peoples house you would be provided with a lot of food, and there are good conditions for bathing and warm places for sleeping. You need a flashlight when going out at night. For the people who would like to do a homestay, apart from the things above you should have more warm clothes for changing in winter and normal clothes in summer. For the people who do the tour by themselves, you need to bring some food such as bread, snacks and soft drink for lunch. When arriving in the village you will see some houses with eye-catching signs like: homestay, local house for staying; you can go in and ask them if it is okay to stay with them. They will prepare food, and a place for sleeping and of course you have to pay for everything.